To fulfill the needs of you and your family, we offer a multitude of general and restorative dentistry services. We have listed only some of our most common procedures below. If you do not see the service you are looking for, be sure to get in touch with us. We are happy to speak with you and answer any questions that you may have! To maintain your oral health, it is important to get regular dental exams and cleanings once every six months. 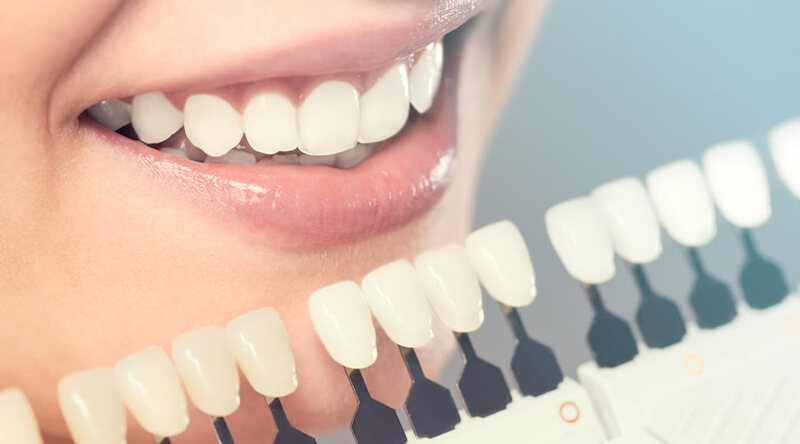 Routine exam & cleaning appointments include a thorough and detailed teeth cleaning, a complete inspection and assessment of your teeth and gums, and a consultation with the dentist. This appointment is a great time to ask about any questions or concerns regarding your dental health! Do you have a tooth that is slightly chipped, colored, or crooked? Bonding is a conservative and affordable treatment to consider. Dental bonding involves a white filling being placed onto your tooth to improve its appearance. The filling then “bonds” with your tooth. Bonding comes in a variety of tooth-colored shades, so it is relatively easy to match with the appearance of your natural teeth. Bonding can also be used as a tooth-colored filling on the front or back teeth. Bonding is more affordable than alternative treatments such as veneers, and can normally be completed in only one visit to our office. If your bonding breaks or chips, please be sure to let us know. Normally, bonding can be easily repaired in just one office visit. A bridge replaces missing teeth with artificial teeth and literally “bridges the gap” where one or more teeth have been. A bridge may also be used to help maintain the shape of your face and alleviate stress on your bite. Dental crowns are a “cap" that is cemented onto an existing tooth to become your tooth’s new outer surface. Crowns are most often used for teeth that are broken, worn, or have been partially destroyed by tooth decay. Partial crowns (crowns or onlays) are needed in situations where there is not enough remaining tooth strength to hold a filling. Crowns are custom created in a lab using your unique tooth impression. Your crown is then thoughtfully sculpted specifically for you, with very careful consideration to ensure that your bite and jaw movements functional properly once the crown is placed. Dentures are replacement teeth that are removable. Dentures are created to look as natural as possible and come in two different types, full and partial. Full dentures are used in situations when all of the patient’s teeth have been removed. On the other hand, partial dentures are attached to a metal frame that is connected to natural teeth and work to fill in where permanent teeth have been removed. Whether full or partial, dentures should be cared for just like natural teeth and should be kept moist when not in use. Our practice offers digital x-rays, as we are committed to providing our patients with the safest and most effective technology. Digital X-rays are awesome as they save time and allow for advanced and more clear imaging, all while exposing patients to less radiation than traditional X-ray technology. Simply stated, a dental extraction refers to the removal of a tooth. Extractions are sometimes necessary. In some cases baby teeth will have to be extracted to make way for a permanent tooth to come in. Permanent teeth may also have to be extracted due to excessive decay and it putting other teeth at risk of decay. When permanent teeth are extracted, replacement with a bridge or implant may be recommended. Traditionally, dental fillings were very noticeable. Today, we are pleased to have dental fillings that include ceramic and plastic compounds that are the same color as natural teeth! Fluoride treatments are given in-office and only take a few minutes. Fluoride is very effective in preventing cavities, tooth decay, and the build up of plaque. Depending on your oral health, we may recommend fluoride treatments every 3, 6, or 12 months. It is very important to replace missing teeth, as missing teeth are not only a cosmetic concern. When you have missing teeth, chewing and eating can cause pain and make it necessary to limit the foods you are able to eat. Missing teeth can also result in your mouth shifting, which in turn causes your face to look older. In order to prevent all of these oral health issues and feel good about your appearance, dental implants are a great solution for replacing missing teeth. Implants are made of metal and porcelain and look just like your natural tooth. When properly maintained, a dental implant can last the rest of your life. An incredible advancement in technology, our intraoral camera is small yet very powerful in allowing us to get an in-depth look at all aspects of your oral health. For example, we can see cracked teeth, cavities next to filings, excessive wear, plaque deposits, and so much more. The intraoral camera goes beyond the information provided on a digital x-ray and gives us valuable insight that enables us to discover oral health problems early on. Protect your smile! We help children and adults who participate in any kind of contact sport protect their teeth by wearing a mouthguard. When wearing a mouthguard, there are numerous considerations to keep in mind. We can help you, ensure that your mouthguard fits your mouth, and show you how to wear a mouthguard properly for the best level of protection. In the past prior to modern dentistry, teeth with diseased nerves were simply lost. Fortunately, root canal treatments have changed that. Today, your tooth can be saved, and it is important that teeth with a crack or deep cavity be treated immediately. If left untreated, bacteria can enter the tissue and cause an infection, which could eventually lead to an abscess resulting in pain, swelling, jaw bone injury, and other risks to your overall health. When receiving a root canal treatment, you will come in to see us for one to three visits. During your appointment, we will remove the affected tissue, clean and seal the interior of the tooth, and then fill the tooth with a dental composite. With good dental hygiene and oral care habits, your restored tooth can last for a lifetime! Brushing your teeth does not effectively clean “hard-to-reach” spots in your mouth, as it is difficult for a toothbrush to thoroughly clean small cracks and grooves on the teeth. Overtime, this can lead to tooth decay developing in these tiny “unreachable” areas of the teeth. To counter this from occurring, sealants are used to protect your teeth against decay and also help to prevent cavities. Also referred to as Periodontal Disease, gum disease is an infection of the tissues that surround and support your teeth. Gum disease is caused by plaque, and is a major cause of tooth loss in adults. To prevent gum disease, routine dental care is very important – especially since gum disease is usually painless and only diagnosed during a dental exam. Wisdom teeth are types of molars that are found in the very back of your mouth. Most people see their wisdom teeth appear in their late teens or early twenties. However, issues can occur when there is not enough space or angle of entry for the wisdom tooth to come on. In these situations, the wisdom tooth may need to be removed. If left unremoved, a person pay experience swelling, tenderness, or even severe pain as the tooth will still attempt to erupt even if there is not adequate space. Get the smile you’ve always dreamed of! Our ultra-thin Veneers are custom designed to fit over your teeth and provide a beautiful, permanently white, and natural-looking smile.  We offer traditional, minimum prep, and no prep veneer options. When you choose veneers, your gorgeous new smile will enhance your quality of life both now and in the many years to come! In-office bleaching provides the quickest way to whiten teeth. Teeth bleaching is done to correct teeth discoloration caused by aging, staining, and/or chemical damage. We offer both IN OFFICE & TAKE HOME bleaching options. 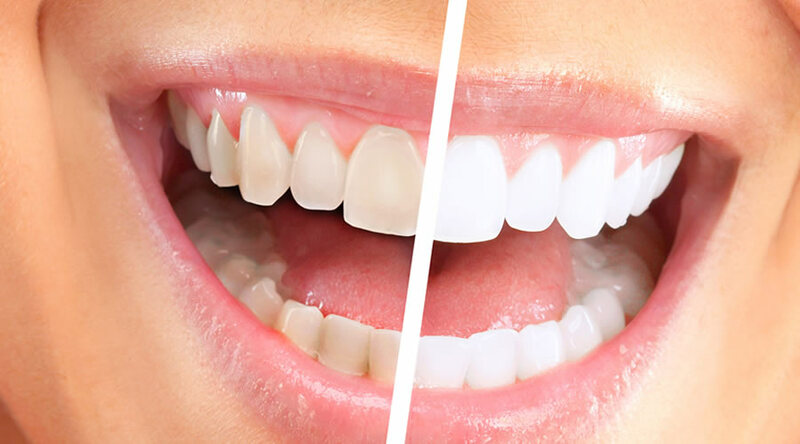 With in-office bleaching, the whitening product is applied directly to the teeth and/or used in combination with heat, special light, or a laser. Results are seen in only one, 30- to 60-minute treatment. But to achieve dramatic results, several appointments are usually needed. For those that have more sensitive teeth, we recommend the TAKE HOME products which can whiten the teeth gradually. However, with in-office bleaching, dramatic results can be seen after the first treatment. ClearCorrect is a revolutionary orthodontic treatment that uses clear aligners to move the teeth gradually. 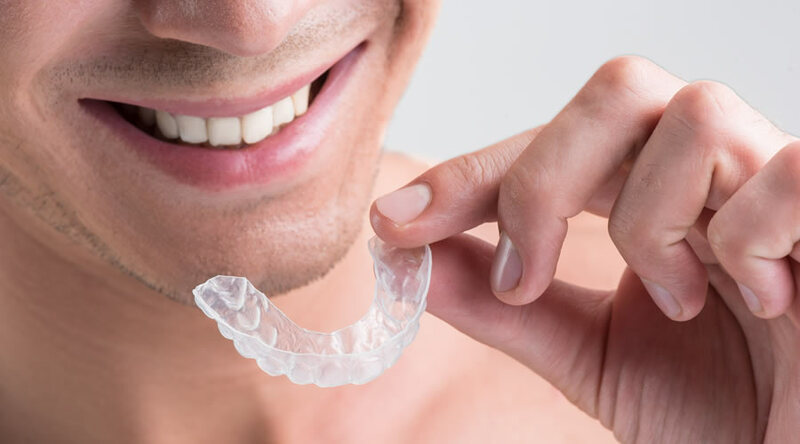 The aligners are created based on impressions taken of your teeth. You wear each aligner in your series for approximately three weeks, and then throw it away and move on to the next one in your set. For more information, feel free to call our office. We offer braces and orthodontic treatment for those suffering with an abnormal bite or desiring to straighten their teeth. 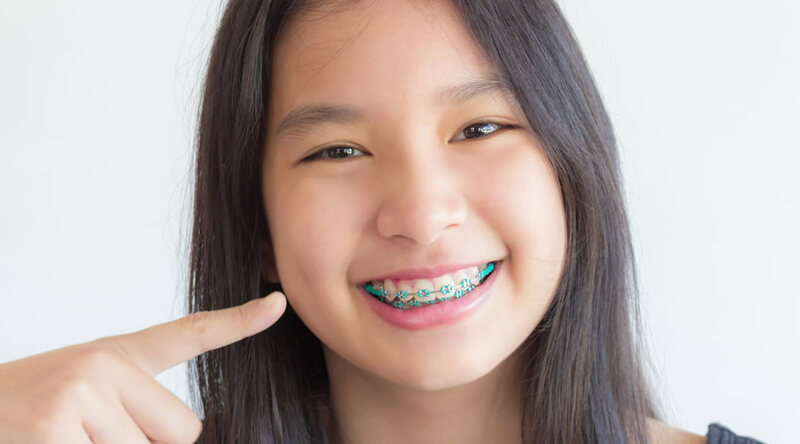 Braces and orthodontics provide an attractive smile, but they also create a healthier mouth by preventing numerous potential oral health issues. Treatment options and plans will vary based on your situation, but most patients receive braces and orthodontic treatment for one to three years. We are happy to consult with you regarding best options and desired results.